Use offer code CRUCIBLE for 10% off Kontrol Freeks! 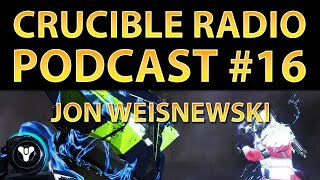 Now that the majority of quests have been completed, it’s time to buckle down and get into the Crucible. The guys have been testing some weapons out, including some interesting new Exotics from the Taken King. Along with Exotics, Arms Day has been proven to be a major factor when it comes to equipping Guardians with Crucible-ready weapons, and CR discusses this new feature in depth. 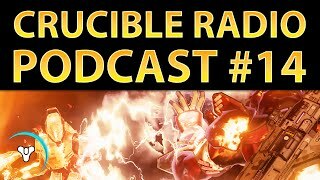 A special guest joins Crucible Radio this week – gamer, activist, and former NFL punter Chris Kluwe is here to chat about keeping your head, applying an athlete’s mentality, and what Destiny needs to do in order to become an e-sport.